We could not understand the location . Make sure your address is spelt correctly. Try entering a post code. ^Price includes current government grant. 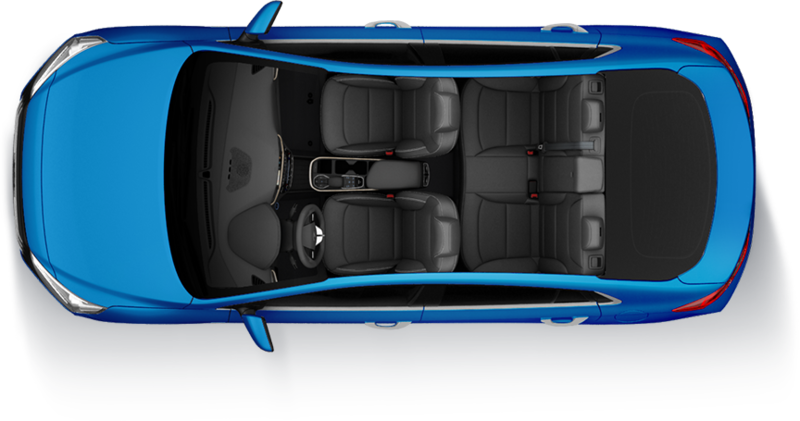 Intense Blue and Lava Orange images shown for illustration only - black gloss radiator grille is not to UK specification.  with maximum efficiency and class-leading 0.24 coefficient of drag. 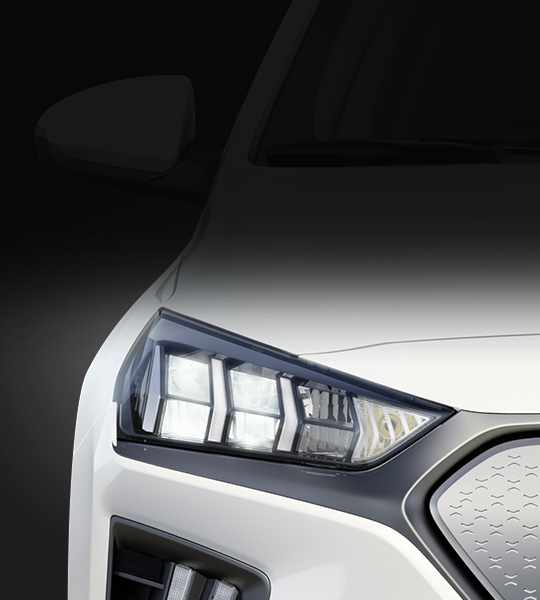 LED Daytime Running Lights The dynamic C-shape daytime running lights also define the subtle intakes that feed the active airflow, reducing turbulence around the front wheels. 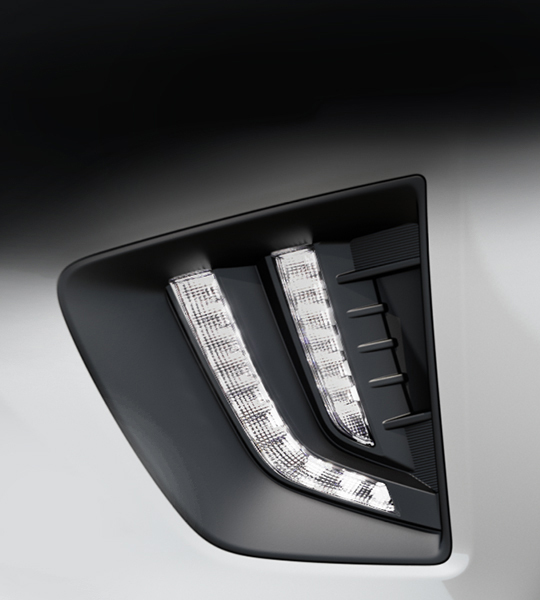 LED headlights A win-win situation: low beam LED headlights improve night vision with higher light output while requiring less energy than conventional headlights. 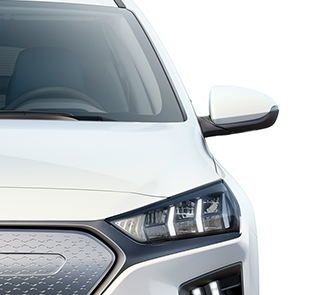 Aerodynamic grille Because the IONIQ Electric doesn’t have a petrol engine which needs cooling, the front grille has been designed as a clean, sleek surface to further optimise the aerodynamics. 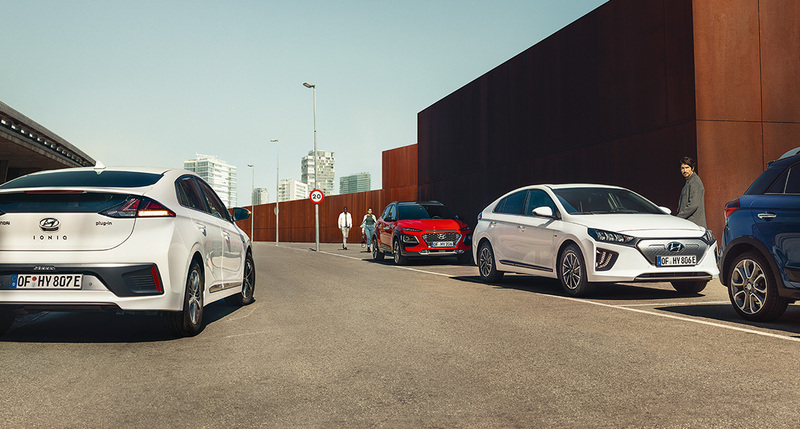 Optimised wheels and tyres Overall energy efficiency is enhanced by 16” alloy wheels and ultra-low rolling resistance tyres that have been specifically developed for the IONIQ Electric. In addition, bumper vents guide airflow into the front wheel arch, creating an ‘air curtain’ that guides airflow along the rest of the car’s body. 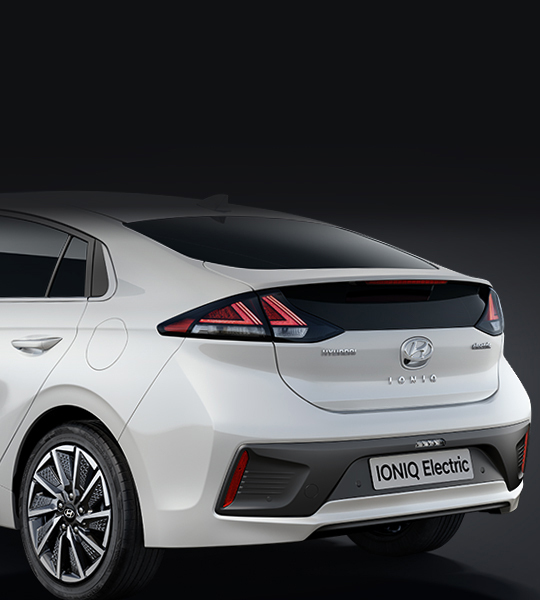 Super-efficient sleek silhouette The design purity of IONIQ is maintained from front to rear. The gentle slope of the roofline merges seamlessly into the rear spoiler. The result is a shape that is both sporty and aerodynamically efficient. 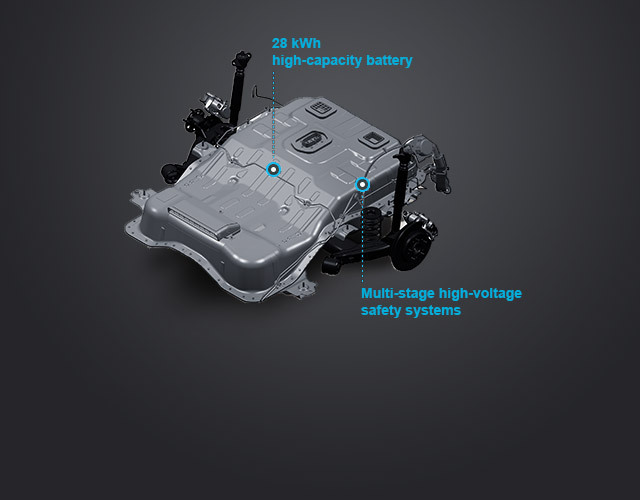 Charge portsConveniently located behind the single flap on the left rear flank are both the standard type 2 charge port, and the quick charge port (CCS) which can charge up to 80% in only 30 minutes. * * Charging times for the high voltage battery may vary as it is dependent on the condition of the high voltage battery, charger specifications and ambient temperature. 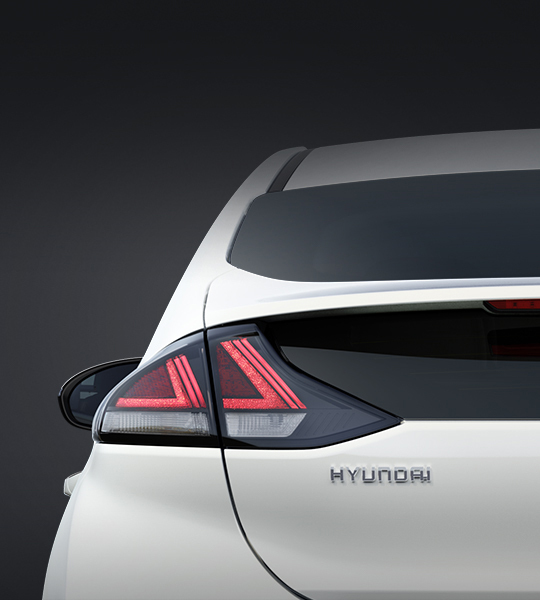 Design integrity The harmonious combination of the rear spoiler, lower glass area, rear lamps, contrasting bumper insert and the signature accent bar confirms the complete integrity of the IONIQ design. 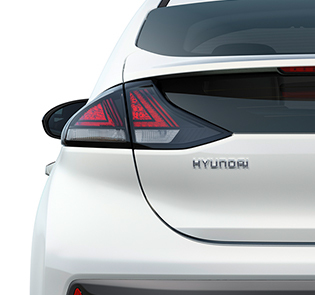 Rear combination lights Like the headlights, bright LED rear lights use less energy and reinforce the car’s design integrity. 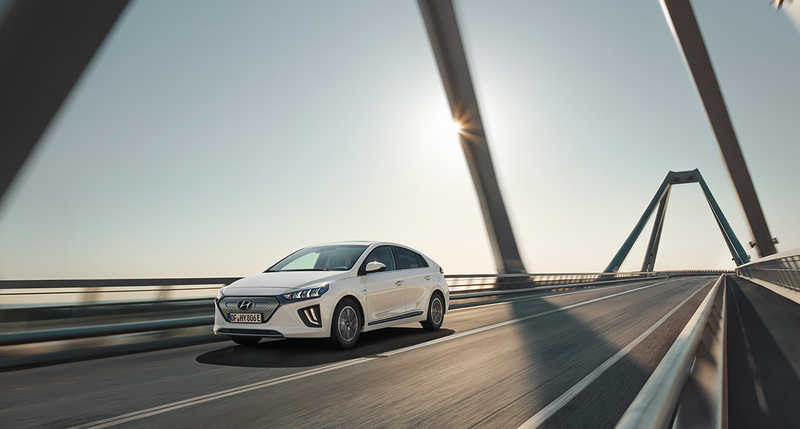 Simple, clean, sleek, light and pure - the interior of the IONIQ has been designed to be effortlessly elegant, efficiently clutter-free and logically forward-thinking. 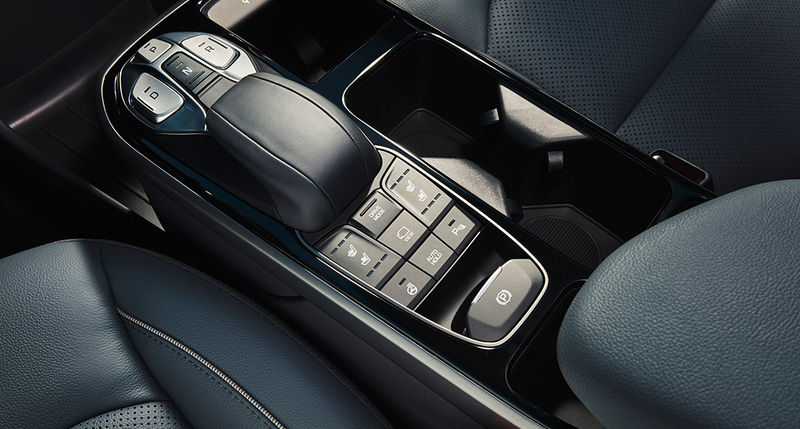 Soft-touch materials lend an air of warmth and comfort, while Premium SE models feature chrome-accented gear knobs, pedals, footrest and door scuff pads to add a note of modern premium luxury. the use of a material made of recycled plastic combined with powdered wood and volcanic stone. 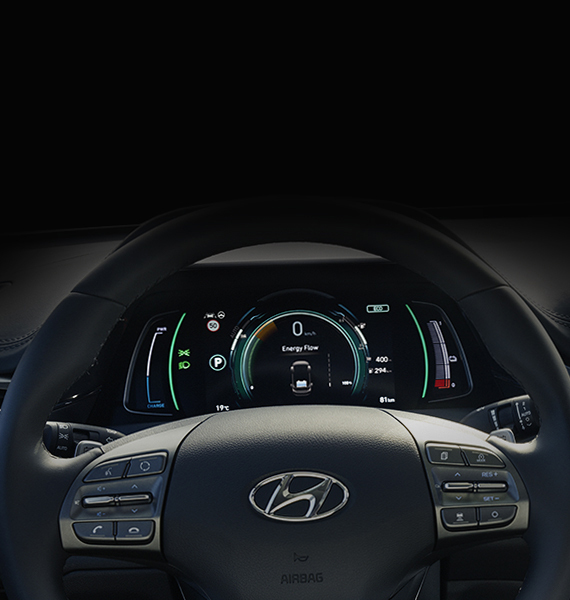 The sporty D-cut steering wheel is equipped with paddles that control the variable regenerative braking. 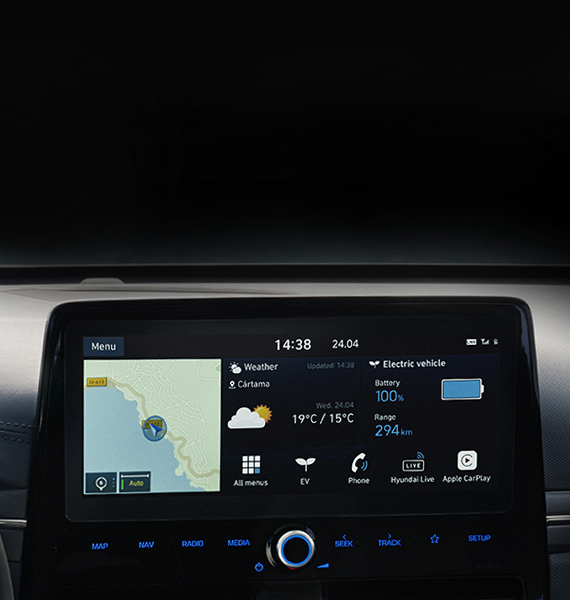 The nerve centre of IONIQ connectivity is accessed via the central 8” full colour touch-screen. 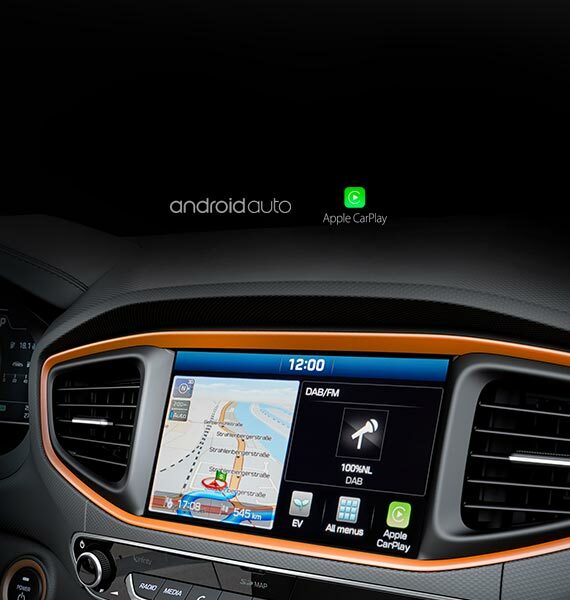 Apple CarPlayTM, AndroidTM Auto, Bluetooth® and Live® navigation services offer entertainment and assistance on the go. 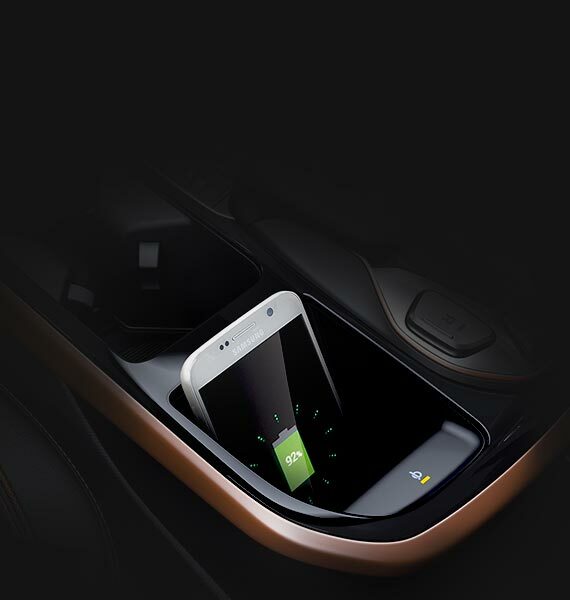 There’s also a premium Infinity sound system and a wireless charging pad for compatible smart phones. 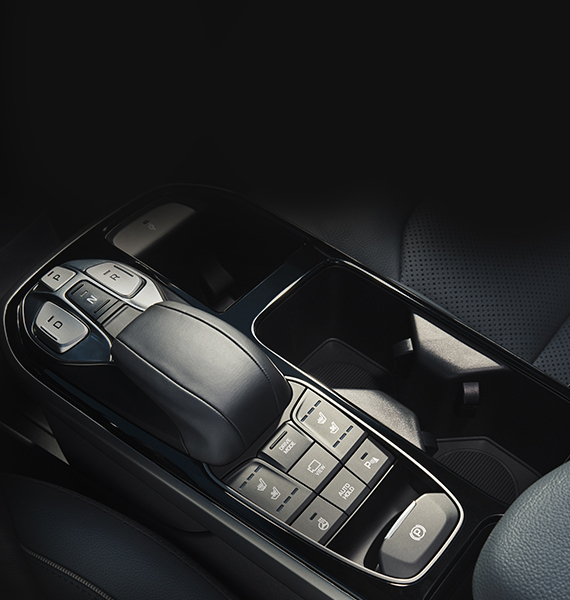 The cabin of the IONIQ Electric is appropriately enhanced by décor elements in copper. 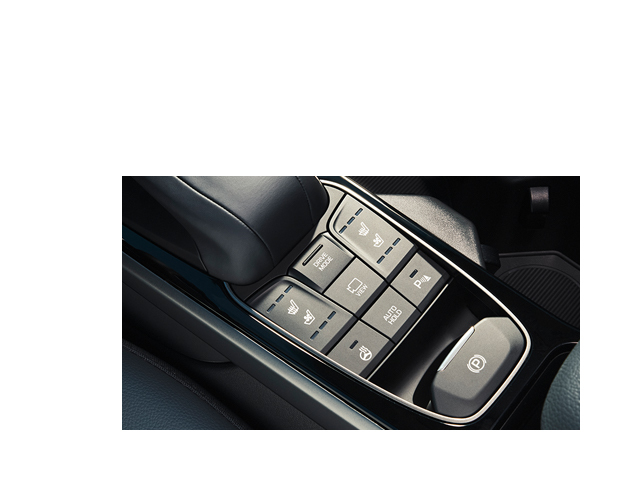 Conveniently located within the centre control console are controls for forward, neutral and reverse; Eco, Normal and Sport drive modes; and operation of the electric parking brake. 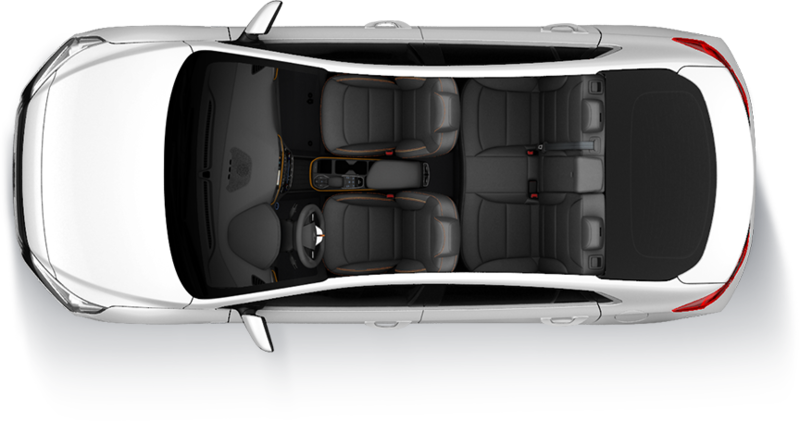 Located between the central control console and the dashboard is a generously proportioned 3-litre storage space. It’s surprising what it can accommodate. 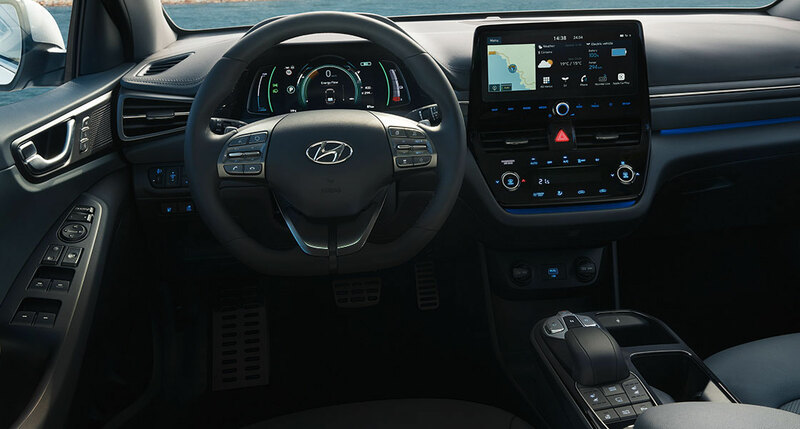 Apple CarPlayTM and AndroidTM Auto are incorporated into the touch screen display of the IONIQ giving you the freedom to use selected apps on compatible phones, and creating a seamless transition between life in and out of your car. Compatible smartphones can be charged wirelessly via the integrated charge pad. 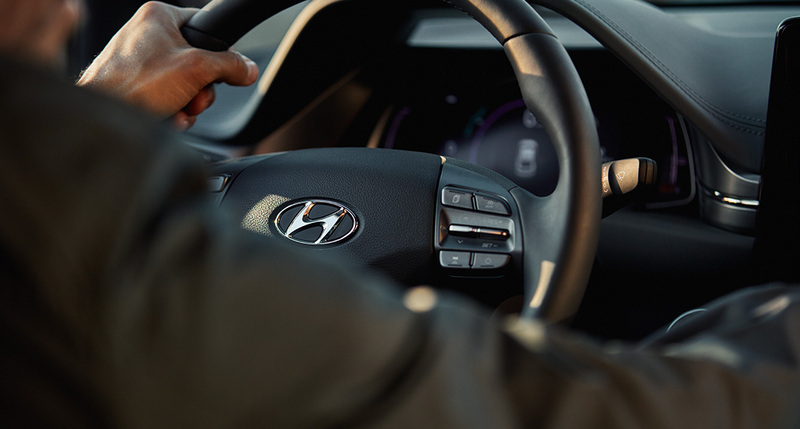 without a turn signal being applied, it activates a visual and audible alert for the driver. graphic in the wing mirror and may make an audible warning when indicating. before automatically applying the brakes according to the degree of danger. the traffic comes to a stop. 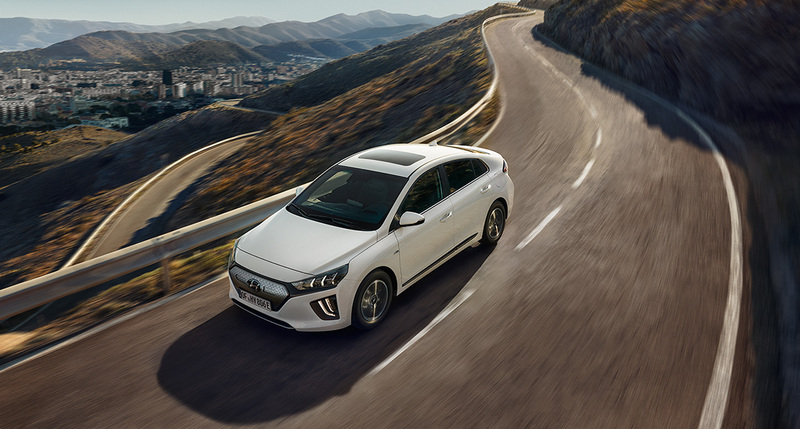 IONIQ Electric can be charged in a variety of ways, at home or on the go. 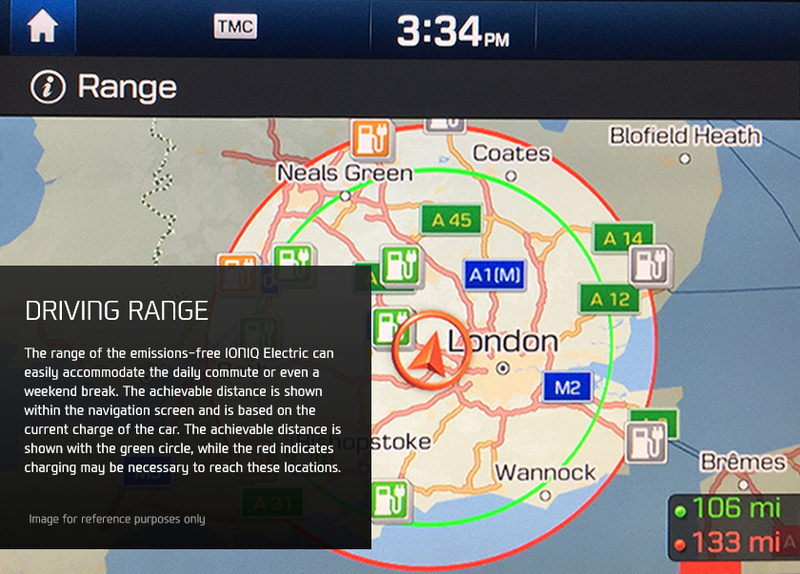 So you can take every opportunity to enjoy electric driving. 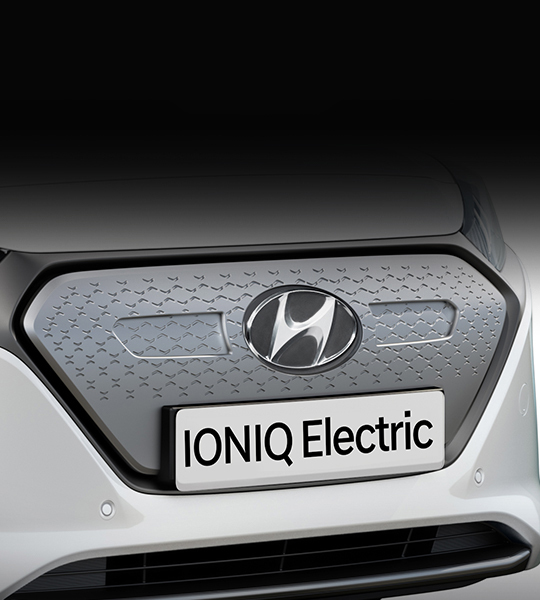 IONIQ Electric is equipped with an In-Cable Control Box (ICCB) Emergency 3 Pin Connector that makes charging from a standard household socket simplicity itself. Charging time is approximately 12 hours. 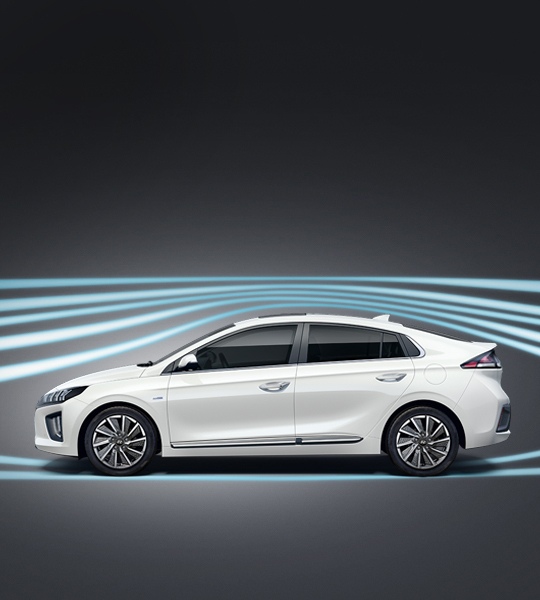 In order to optimise the performance of the IONIQ Electric we strongly recommend that owners have a charging system at home. This can provide a 100% charge in 4 hours 25 minutes. 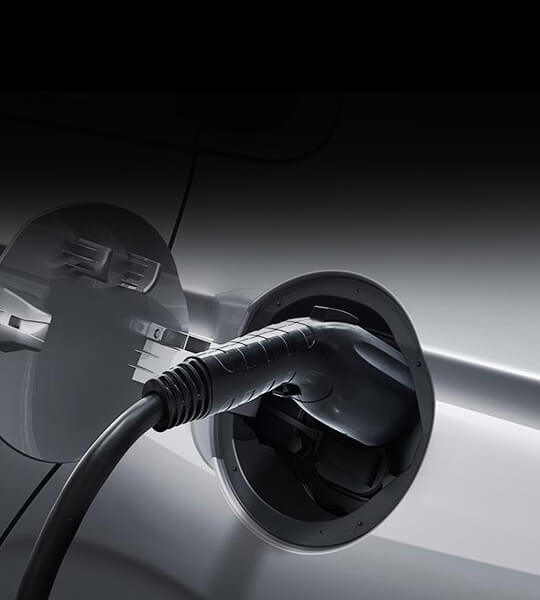 In the UK, POD Point is Hyundai’s preferred partner for domestic charge points and features £500 (including VAT) of government support towards purchase and installation. 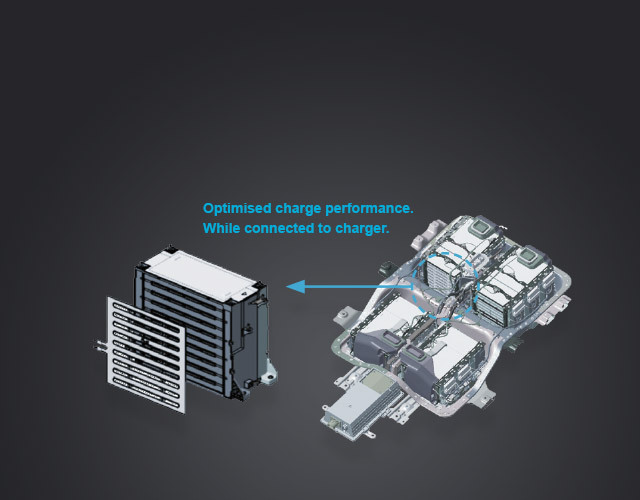 IONIQ Electric is compatible with most fixed public AC charging stations. Charging time is the same as the standard charging time – 4 hours and 25 minutes. 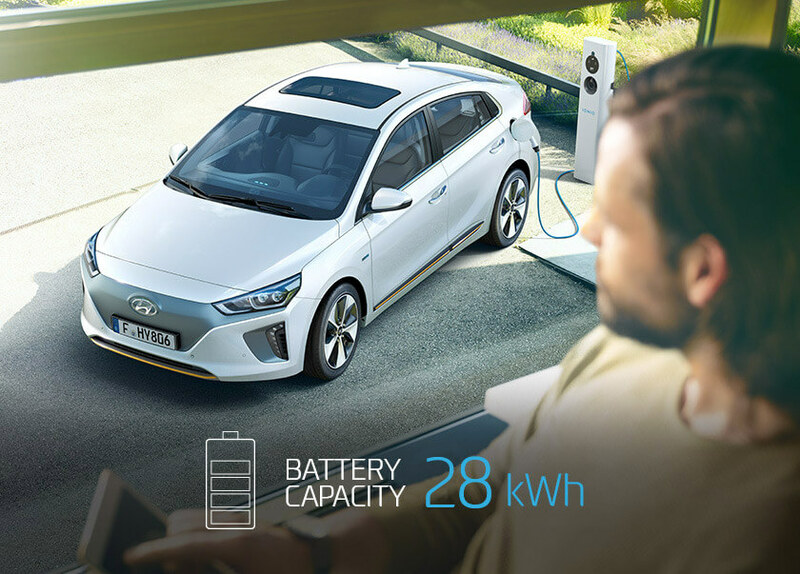 Every IONIQ Electric is equipped with our advanced navigation system which includes the category ‘Charging Station’ in its Point Of Interest (POI) menu. 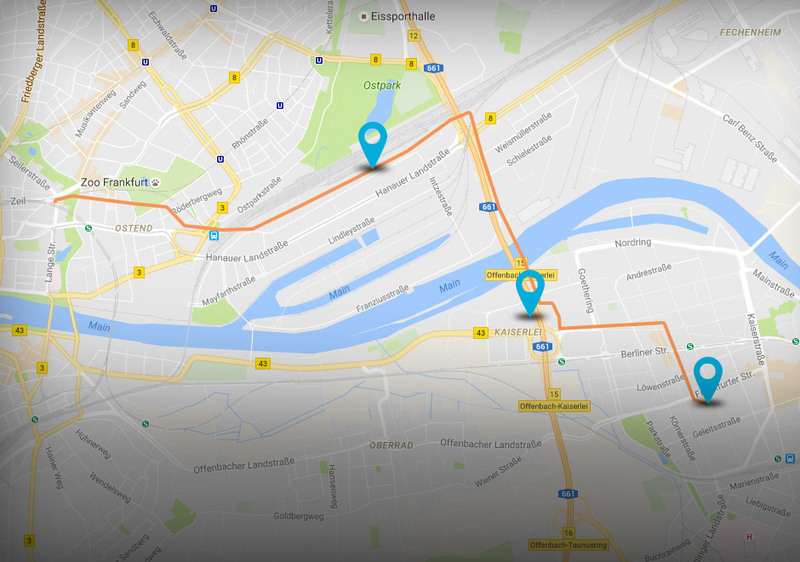 Selecting ‘Charging Station’ will identify your nearest public charging stations and guide you to the location of your preferred station. 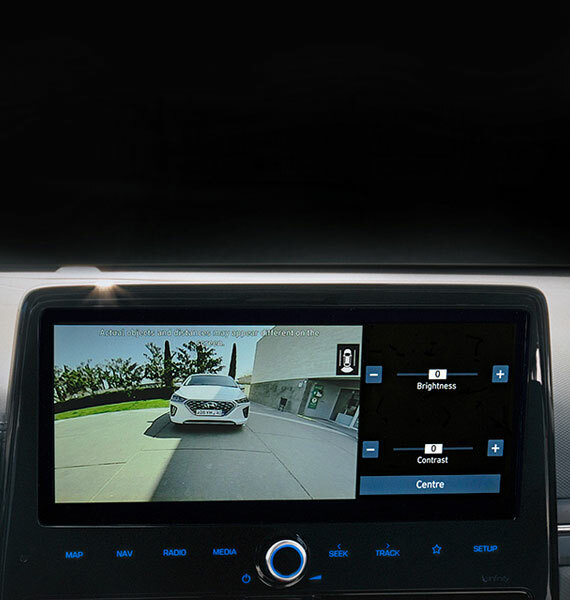 The IONIQ Electric navigation system also provides guidance to the most convenient charging stations along your preferred route. Image for reference purposes only. and can be recharged to 80% in as little as 30 minutes. 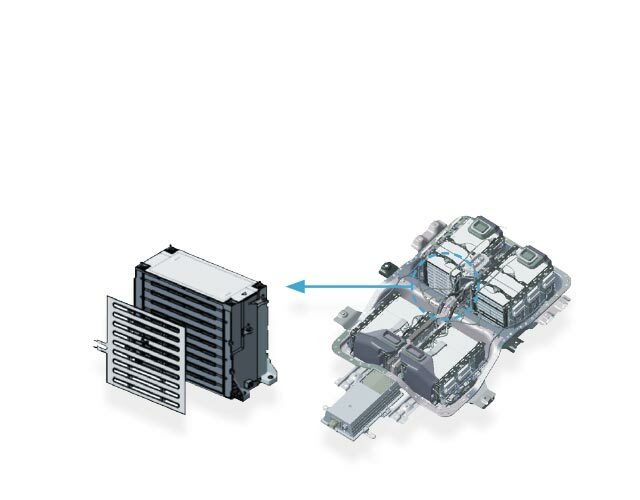 high-voltage electric motor and high-efficiency reduction gear. 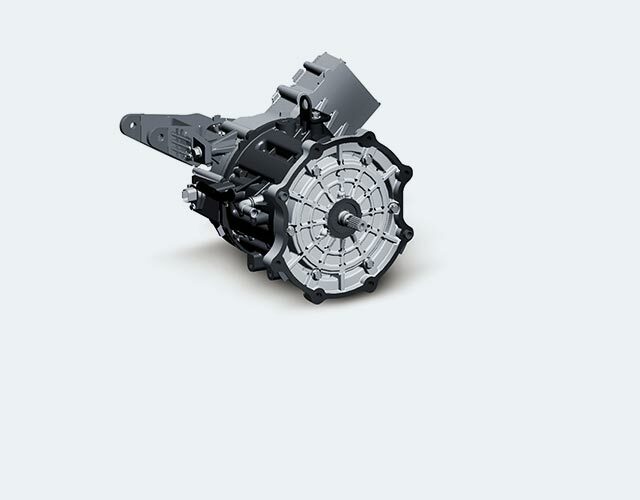 electric motor and high-efficiency reduction gear. 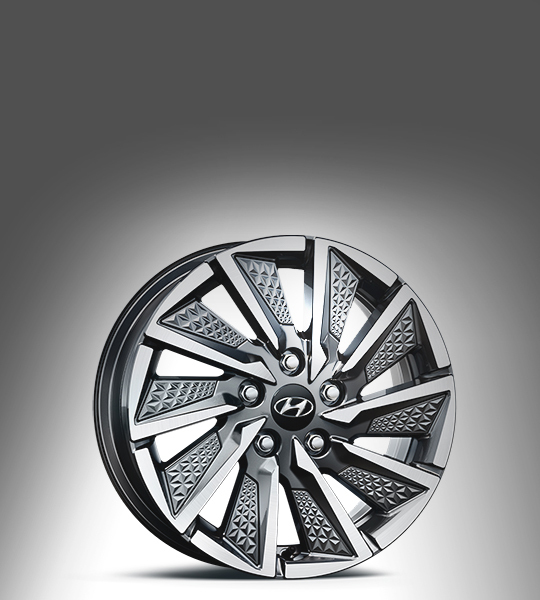 with a maximum torque of 295 Nm for instant and impressive acceleration. 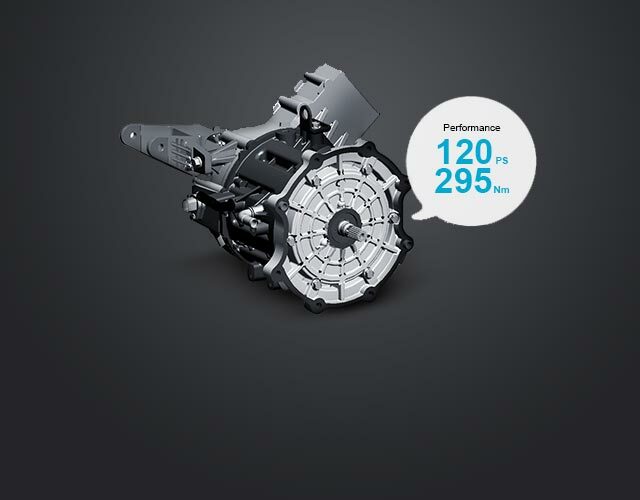 and a maximum torque of 295 Nm. and driving range in low-temperature conditions. performance and driving range in low-temperature conditions. 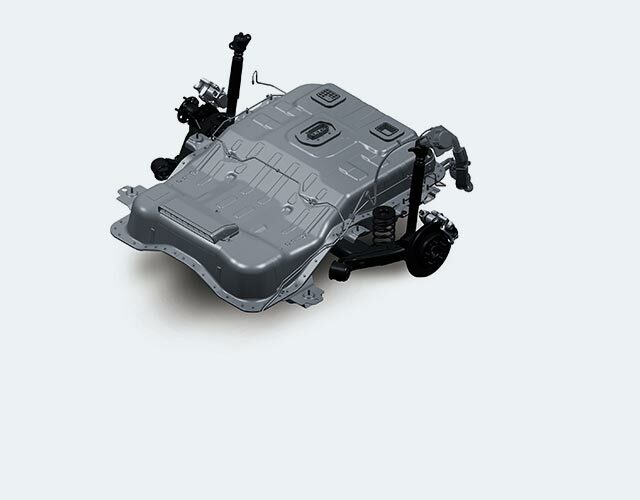 the chassis for better handling characteristics. 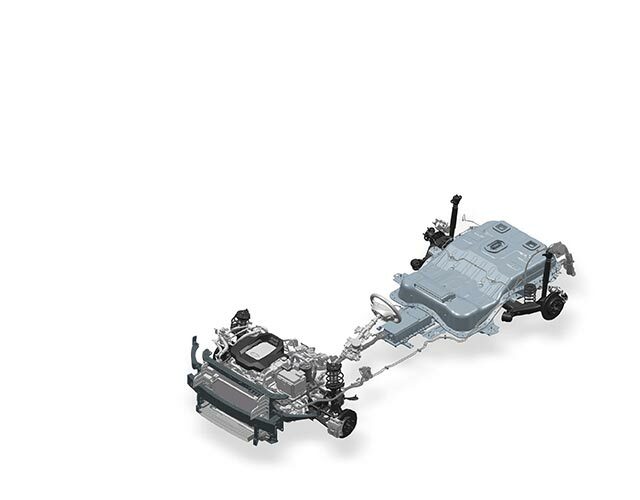 chassis for better handling characteristics. 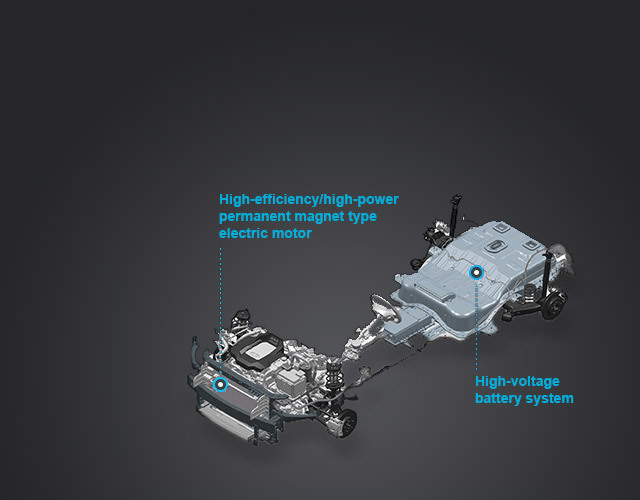 simplify electronic control of major driving functions. Recommended on the road price includes £3,500 government incentive which is subject to change. *Specification colour dependent on powertrain / exterior colour combination. *Please contact your dealer for the latest list of compatible phones. Apple CarPlayTM is a trademark of Apple Inc. AndroidTM is a trademark of Google, Inc. Infinity® is a registered trademark of Harman International Industries, Inc.
* Kerb Weight defined as the total weight of a vehicle with standard equipment (the minimum figure and factory fitted optional equipment (the maximum figure) and all necessary operating consumables such as oils, coolant, air conditioning refrigerant and a full tank of fuel, while not loaded with either driver, passengers or cargo.  ** Payload is the difference between the Gross Vehicle Weight and the Kerb Weight. *** Gross Vehicle Weight is the maximum allowable weight of the vehicle, fully loaded with passengers and cargo (The Payload) and includes the weight of the vehicle. **** The Gross Train Weight is the weight of the fully loaded vehicle plus a fully loaded trailer and must not be exceeded.